In this Aug. 6, 2015 file photo, Raven-Symone attends the Broadway opening night of "Hamilton" at the Richard Rodgers Theatre in New York. ABC has responded to a petition asking that "The View" remove Raven-Symoné from her co-hosting duties. 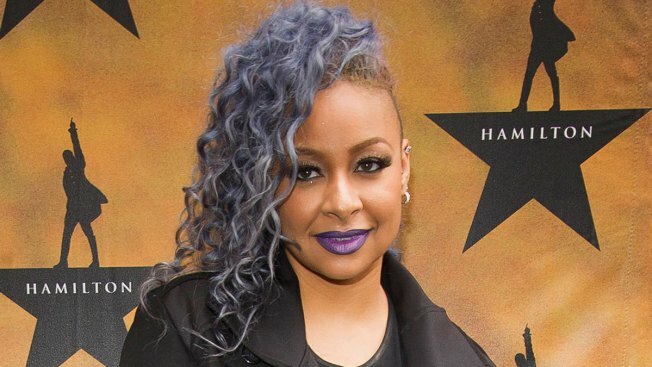 "We love Raven," a spokesperson for ABC told E! News Saturday afternoon. "She is confident, genuine and opinionated, all qualities that make her a great addition to the panel." The statement comes in the wake of a Change.org petition addressed to Barbara Walters that asks for the former "That's So Raven" star to be removed from her morning show gig. "African Americans and black people around the diaspora need a voice representative of their views and not a voice representative of what white people want us to say," the petition read. "We need strong black role models in prominent positions on television an Raven-Symoné cannot provide that." More than 120,000 people have signed the petition since Wednesday but it is not clear if they are actually viewers of ABC's morning show. While co-hosting "The View" with fellow co-hosts Whoopi Goldberg, Joy Behar, Michelle Collins and Paula Faris, the former child star has found herself in the middle of controversy after sharing her opinions. Most recently, Raven upset some members on Twitter with her thoughts on the Spring Valley High School assault incident. She also received heat after saying she wouldn't hire someone with a "ghetto" name. But as some members of the panel have faced backlash for a variety of topics, the ABC program has continued to describe itself as a show where "real women discuss everyday issues, share their opinions and engage in colorful conversations." When E! News talked to Raven at the beginning of her co-hosting gig, she admitted that not everybody will like what comes out of her mouth. "I definitely have a different lifestyle than a lot of people in this world--good and bad--and my views are different than one might think my views might be because I've never really spoken my truth until recently," she confessed. "Hopefully I can shed some light on what I like to call the truth." She continued, "Some people might not agree with me and some people will but we know how to talk to each other in a respectful way so that everybody gets their point across and there's no cutthroat conversation."